Yesterday, Apple updated a support document to reflect the problem some users reported with iMovie for iOS where the built-in media browser wouldn’t list certain video clips stored in your camera roll. According to Apple, footage not directly captured on the device may not be compatible with iMovie. This includes non-Apple-friendly material imported from, say, your camcorder – either directly via the official camera connection kit or through desktop iTunes. Such video clips do not appear in the Video browser within iMovie, explains Apple. 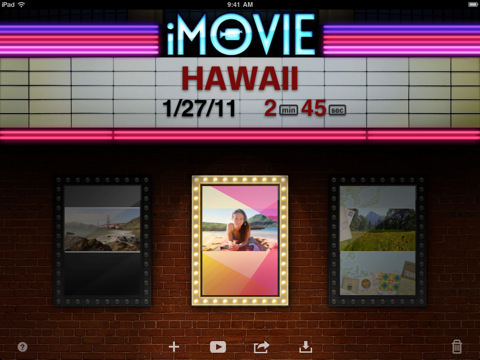 iMovie for iOS is designed to work with video recorded with iPad 2, iPhone 4, and iPod touch (4th generation). To ensure optimal performance, the app filters out certain non-Apple video clips from the Video browser. These incompatible clips cannot be added to your iMovie project. Here’s a simple workaround that circumvents this design deficiency. It involves importing the problematic clip to your Mac and re-encoding footage to iOS-friendly formats, after which the videos can be imported to iTunes for syncing to your device. A plethora of third-part applications take the pain out of re-encoding, including free cross-platform Handbrake and Elgato’s speedy and simple to use Turbo.264 HD Video Converter that goes on the Mac App Store for fifty bucks. Elgato’s app has a bit steep price point, but it’s well worth it should you need a versatile and efficient tool to convert AVCHD camcorder clips, or any video file for that matter, to a high-quality format that you can play on iOS devices.